This summer we went to a wedding in New Jersey. 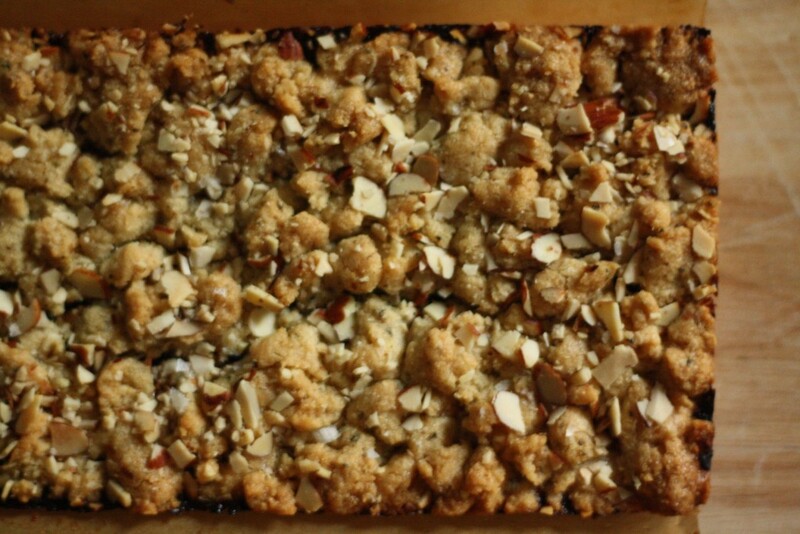 We hit the road with every seat belt clicked in our Zipcar and a box of rosemary apricot bars baked by my friend. Then we hit the traffic. I am not joking when I say we sat in the car for two hours and only moved four city blocks. Fueled by my inner snack monster, and the fact that I need to run around every hour, we took our chances by racing into the nearest store while the car idled on Broome Street (still with driver – don’t worry mom!). The minute we opened the door, we realized that we were in an Asian market with no idea what the contents were of any of the packages. Having 0.067 seconds to shop can be along time, and I now know from experience that if you just grab the cutest packages you’ll be fine. We hopped back in just as the car turned onto the the Holland Tunnel. 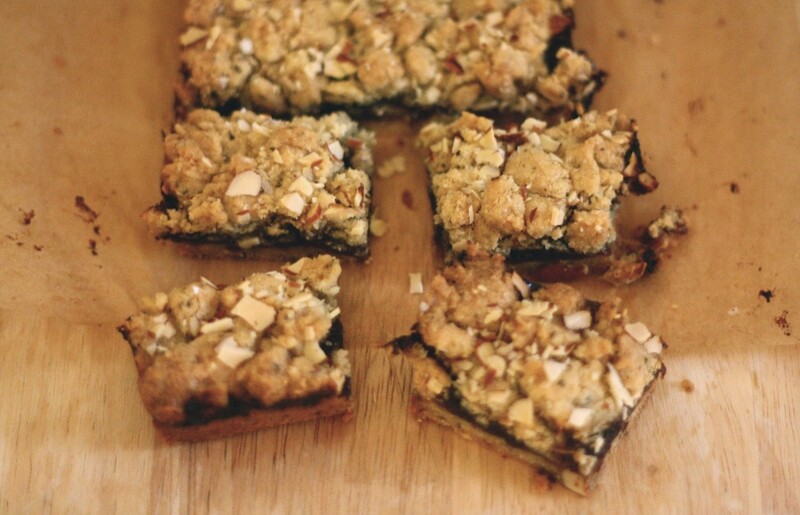 After a dinner of spicy sesame sticks and wasabi peas, we had the rosemary apricot bars for dessert. Amazeballs. Like times 1000. The recipe was from the Baked cookbook. Adding chopped rosemary to the dough gives just enough of a hint of something awesome without tasting savory, and the apricot filling is scented with wine and spices. Then there is a nut crumble. I went to cookie heaven. I also needed to make them, but after looking over the recipe and seeing that the filling is actually made by stewing apricots, then pureeing them to make the filling, and there is a separate recipe for the base cookie and for the topping, plus one must devote three hours for the preparation; I knew I could streamline the process. Wisdom: We all know that in life one is rewarded for taking the long road, but sometimes in cookie making, one can take the easy road with tasty success. These cookies have all the flavor of the original from which they were inspired, but the whole thing is made in the food processor in less than 20 minutes. Not one bowl required. I used fig butter and I would do it again. It was a great substitute for both the taste and for those who need a cookie NOW and can’t wait to make a homemade apricot filling. I also made them in a loaf pan (for just a lil’ pan o’ cookies) but it could be easily doubled and made in a 8×8 pan. Preheat the oven to 375. Line a loaf pan with parchment and butter the paper. 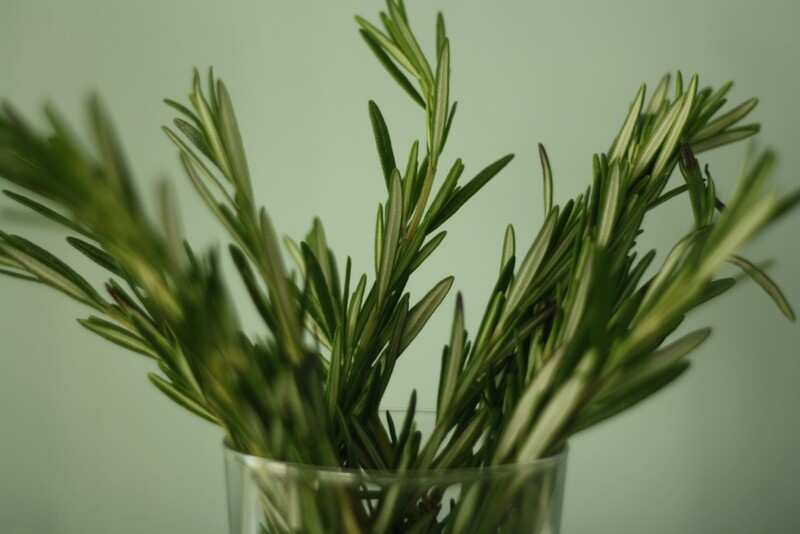 Strip the rosemary leaves from the sprigs and finely chop. You should have about a heaping tablespoon. 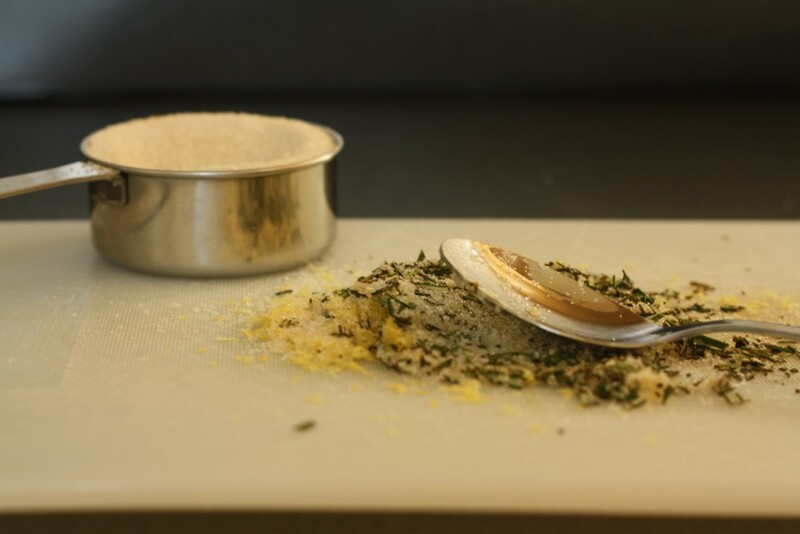 Measure out the sugar and scoop two spoonfuls onto a cutting board. 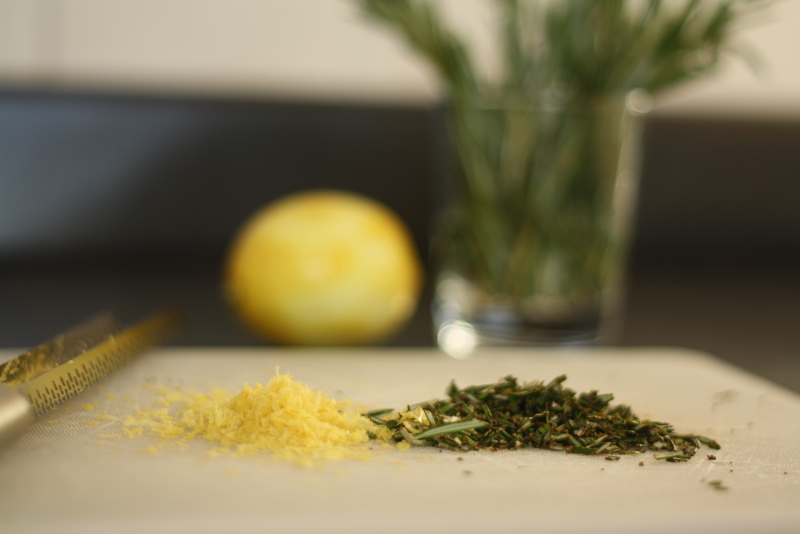 Using the back of the spoon, combine the zest and the chopped rosemary with the sugar to release the natural oils. In a food processor pulse together the flour, almond flour, salt, remaining sugar and the rosemary/lemon sugar. Add the butter and pulse until it resembles a fine meal. Then add the yolk and mix until the dough just comes together. Measure out a cup of dough for the topping and refrigerate while you make the cookies. 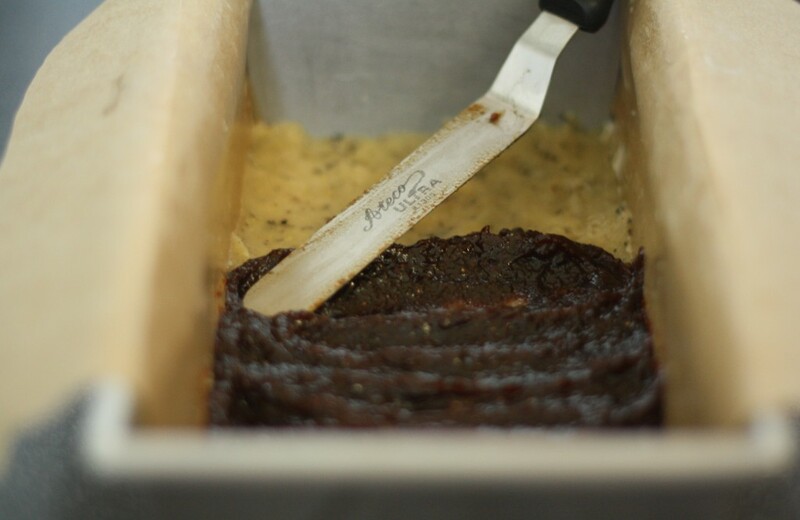 Press the remaining dough into the prepared pan and using an offset spatula spread the fig butter in an even layer. 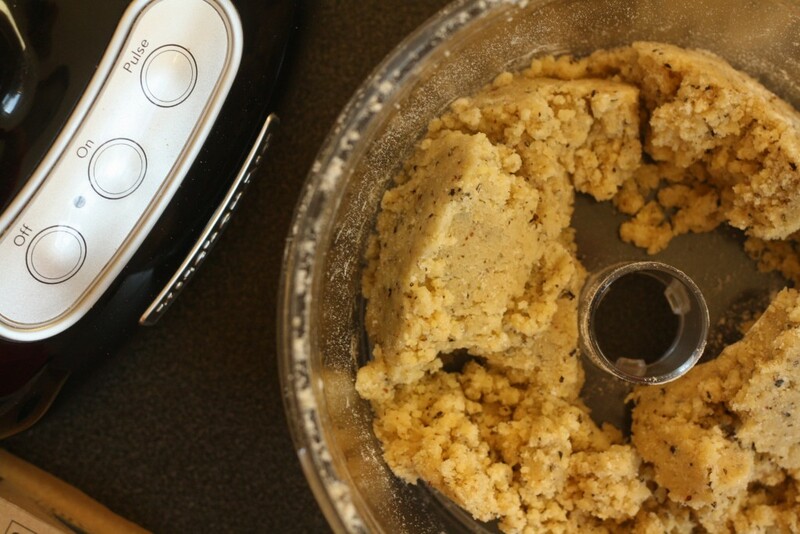 Crumble the reserved dough over the fig butter. Sprinkle the almonds and flaky salt over the crumbs. Bake for 35-40 minutes, or until the top is golden brown. Side note: There has to be someone who would buy a greeting card with that wisdom quote that I came up with, right? It could be part of that series, you know the square cards with seven words and bold graphic prints, that always make you feel like you could run out of the store, tears of joy running down your face, and do anything in the world. 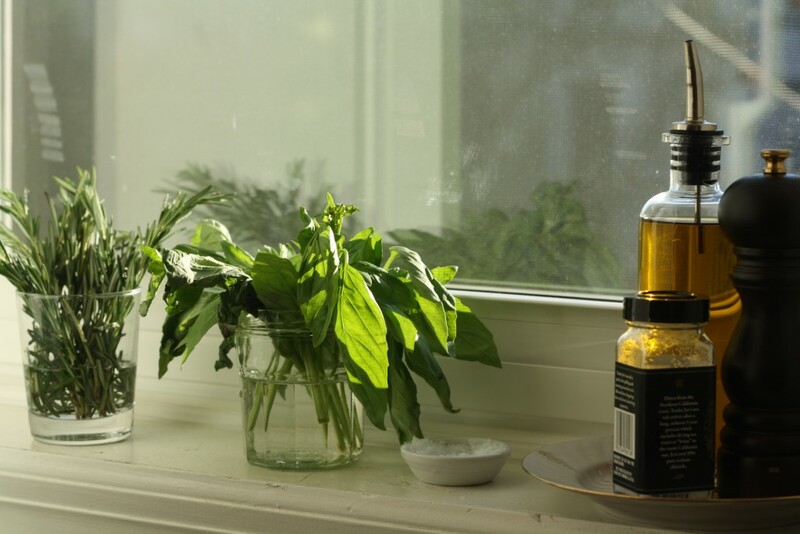 The pairing of the rosemary and the fig butter does sound delicious. It has been a while since I have seen figs, but I will keep and eye out for the butter. Love how easy this treat comes together. Great post-yum! Thanks! I found fig butter at Trader Joe’s and they also had a variety of other fruit butters as well. guess what holiday card you are getting?! The only way I ever consider baking is via the easy road, so the greeting card and the recipe sound awesome to me! This comment is a “like” for Natalie’s comment. I have to try these. I love herbs in baked goods. It just isn’t done enough. Thanks for the recipe! Hi Alanna! 1. Thank you! 2. You just blew my mind with the mention of goat cheese. Like whoa. Genius! Yes, I think it would be fantastic either worked into the crumble or spread as a thin layer before the jam. Let me know how they turn out!